What would you do if you finally made the leap to the big city in pursuit of your dreams just to find that your expectations were overshadowed by something unexpected? 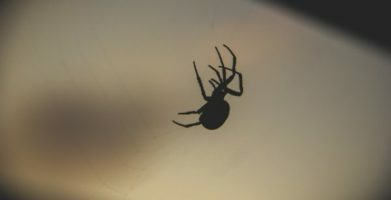 I recently talked to a young lady who would never have imagined what could be lurking in her future apartment, leaving her afraid to turn out the lights. I could still hear the fear in her voice as Janet recalled her story of being attacked by bedbugs. As you can imagine, Janet was very excited to land an affordable apartment just outside of Manhattan. It wasn’t long after she got settled in that she noticed a tiny, brown bug crawling across her bed next to her. She had seen a show on TV about bedbugs prior to making her big move, and feared that one day this might happen to her. Janet knew to call an exterminator right away and sure enough, she found out that she had a bedbug infestation in the very place that she now called home. The exterminator advised her to take extra precautions to be sure her apartment was free of the relentless bugs. After washing all her linens, spending a few fearful nights on the couch and even begging the exterminator to return, Janet still felt uneasy. “I was scared that they would come back” she explained. An exterminator can only do so much to help rid the area of bedbugs, but if the neighbors who live in the infested apartment next door don’t also take action, the bugs will always find their way back. Not yet having many friends or people to lean on, Janet recalled her concern. “I was afraid to go home,” Janet said. It wasn’t long before she abandoned the sweet, little apartment she thought she was so lucky to find and hoped and prayed that when she packed her things up, a lone bedbug hadn’t hitched a ride. She lived in constant fear that the bugs would come back and she would have to live this nightmare all over again. A bedbug is a tiny brown bug, ranging in size from a speck of dust to an adult who can reach the size of an apple seed. A female bedbug can produce hundreds of offspring in her lifespan of up to 10 months. -In the seams of chairs and couches, between cushions, in the folds of curtains. -Under loose wall paper and wall hangings. -At the junction where the wall and the ceiling meet. -In the head of a screw. Even the person sitting next to you on the subway could be bringing bedbugs along for a ride. 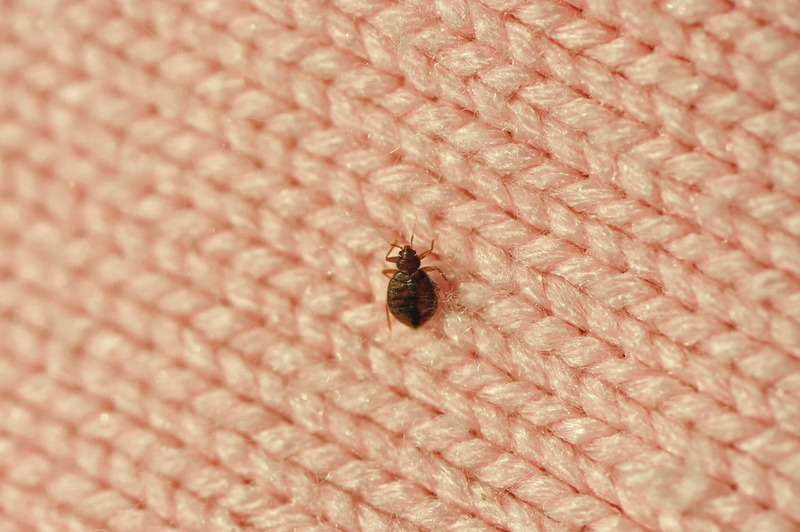 Bedbugs will attach themselves to clothing and/or bags and can jump off at any time, starting the cycle all over again. 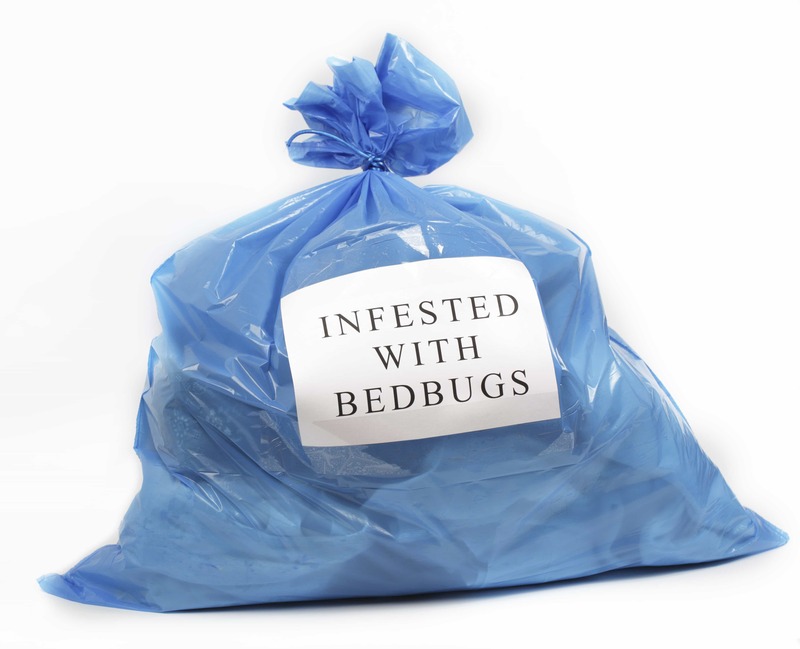 Think that you may have your own bedbugs? What can we do to prevent bedbugs? 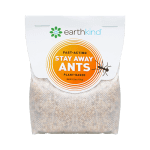 An infestation of any kind is frightening and unfortunately not always easy to spot. And it’s not only bedbugs. Any insect that’s small and nocturnal can take you by surprise. Spiders and moths behave the same way. They appear when it gets dark, when it’s easiest to search for food sources, a mate, and make their way around with little chance of harm from humans, animals, or other predators. 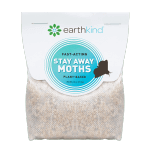 The good news is, EarthKind® can help you prevent spiders and moths with our natural pest prevention line, Stay Away®. And we’re working on solutions that will help you keep your home bedbug free. Clean bedding, linens, curtains, and clothing in hot water and dry them on the highest dryer setting. Place stuffed animals, shoes, and other items that can’t be washed, in the dryer and run on high for 30 minutes. Being able to stay away from using chemicals in your home is important for your children, pets, and the environment. 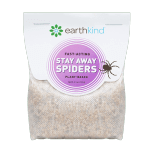 EarthKind® is hard at work making natural solutions to rid your homes of those frightening and pesky bugs and rodents. Prevention is the best form of protection! What would you do if you finally made the leap to the big city in pursuit of your dreams just to find that your expectations were overshadowed by something unexpected? I recently talked to a young lady who would never have imagined what could be lurking in her future apartment, leaving her afraid to turn out the lights. I could still hear the fear in her voice as Janet recalled her story of being attacked by bedbugs. Dark spots (about this size: •), which are bed bug excrement and may bleed on the fabric like a marker would. Eggs and eggshells, which are tiny (about 1mm) and pale yellow skins that nymphs shed as they grow larger. Clean bedding, linens, curtains, and clothing in hot water and dry them on the highest dryer setting. Place stuffed animals, shoes, and other items that can't be washed, in the dryer and run on high for 30 minutes. string(55) "Natural Pest Prevention: Taking the Bite Out of Bedbugs"